SHETLAND College student Rhea Kay has been shortlisted for this year’s British Education Awards. 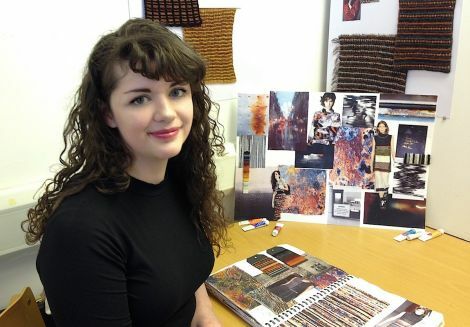 The 23-year-old was named the University of the Highlands and Islands further education student of the year in the autumn after completing a BA (Hons) in contemporary textiles. Kay is one of 12 finalists in the Scotland region category. The awards ceremony will be held at the Deansgate Hilton Hotel in Manchester on 31 January. SCOTTISH Government minister for mental health, Clare Haughey, will be in Shetland early next week to participate in NHS Shetland’s annual review meeting. The event, hosted by the health board’s chairman Gary Robinson and chief executive Ralph Roberts, is an opportunity for the public to hold the health board to account for the way it delivers health services. Following an overview of the work of the local NHS, people will have the opportunity to get their questions answered. The meeting will be held on Monday (21 January) at 2pm in the NHS Shetland headquarters at Burgh Road in Lerwick. Following the annual review theShetland Public Engagement Network will host a short meeting. The group gives the public a greater say on health and care services provided by NHS Shetland and the integration joint board. For further information on both meetings, contact Carolyn Hand on 01595 743064.